To repair a hernia you’ll need surgery performed by a general surgeon. 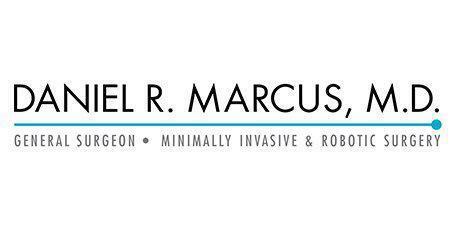 Dr. Marcus helps patients from West Los Angeles and Marina del Rey, California to review multiple surgical procedure options and together, you will choose what’s right for you. What is a hernia and what causes it? A hernia occurs when an organ or fatty tissues squeezes through the membrane that it’s contained in, which is usually made up of muscle or other tissue. This may occur when excess pressure is put on the affected area, such as during heavy lifting or from weakness in the membrane tissue. Some hernias are asymptomatic and cause no problems for the patient. Symptomatic hernias, however, are accompanied by swelling and soreness at the hernia site and are often visible under the skin. You may also experience discomfort when lifting, bending over, or participating in other physical activities. Listen to your body because it’s talking to you! If you have any of the symptoms listed above, you should consider your seeing your doctor for a proper diagnosis. To repair a hernia you’ll need surgery performed by a general surgeon. Patients from Marina del Rey and West Los Angeles have the opportunity to work with Dr. Marcus to review multiple surgical procedure options and together, you will choose what’s right for you. For quicker patient recoveries, less trauma, and almost no scarring, Dr. Marcus may recommend using the da Vinci robotic surgery system. In some cases, however, the patient may need or prefer to have their hernia repair performed laparoscopically or with open surgery. An inguinal or groin hernia is a dangerous hole in the abdomen and can allow soft tissue to protrude through a weak point in the abdominal groin muscles. If the closer of the abdominal wall is incomplete, it may occur as a defect at birth or when an incision is made during surgery and it doesn't heal properly. Someone might be born with a larger hiatal opening. Pressure on the abdomen caused by pregnancy, obesity, coughing, or straining during bowel movements may also contribute. It occurs between the breastbone and the belly button. These are typically small but you can have more than one at a time.